Both Disneyland Park and Disney California Adventure Park are joining in on the Frozen fun with new experiences announced at both parks for the coming weeks! Disney has announced today that Anna and Elsa will be moved from their current (And INSANELY Popular) meet and greet location currently in Fantasyland and have their experiences spread out between both parks starting December 20! “Anna & Elsa’s Royal Welcome” provides an elegant new location for Anna and Elsa to receive visitors in the Disney Animation building in Hollywood Land. (Note: The Anna and Elsa meeting location in Disneyland Park will close at the end of the day on Dec. 19.) The colorful and varied animation experience already on display in the attraction’s lobby will feature new scenes that pay tribute to Arendelle and the world of “Frozen.” As they did in the previous location in Fantasyland, guests will utilize the Return Time Ticket to meet the characters, avoiding long wait times by securing a reservation time to return to the Royal Welcome. Elsewhere in the Disney Animation building, guests at the Animation Academy will be asked “Do You Want to Draw a Snowman?” – offering an Olaf drawing experience with an added Marshmallow-drawing class. “For the First Time in Forever – A Frozen Sing-Along Celebration” transforms the Muppet*Vision 3D Theatre into the welcoming Crown Jewel Theatre of Arendelle, where Anna, Elsa and Kristoff take part in a comedic retelling of their story that features popular songs from the film. Two Arendellian Historians, acting as hosts, lead the festivities, with the “Frozen” characters making memorable appearances throughout. Some of the favorite musical sequences (and lyrics) are shown on large screens to make sure everybody enjoys all the fun. “Olaf’s Snow Fest” takes place next door to the Crown Jewel Theatre in Stage 17, which is transformed into a charming castle courtyard reminiscent of Arendelle. Music and lighting bring to life an immersive wintry environment for guests to meet and share a warm hug with Olaf. Kids of all ages will have fun in a giant play area with real snow where they are encouraged to build snow creations and zip down a snow slide. Guests who wish to observe the icy fun will have a nearby viewing area. A traveling musical duo, The Tubadors, will celebrate the tales of Arendelle in storytelling and song while, on their own stage, The Frolicking Fjords will present arrangements of Arendelle-themed tunes. Guests may enjoy a cup of hot chocolate, complete with snowman marshmallows, and decorate their own Olaf cookie, making memories that will warm their hearts. “Freeze the Night! A Family Dance Party” invites guests to “chill out” in a family friendly setting inspired by the icy environment of “Frozen.” Created for all ages, this interactive party celebrates “all things Frozen” with exciting music, games, photo opportunities, drinks and snacks, an ice sculptor, and plenty of interactive moments, all infused with a super-cool crackle of exhilarating energy. 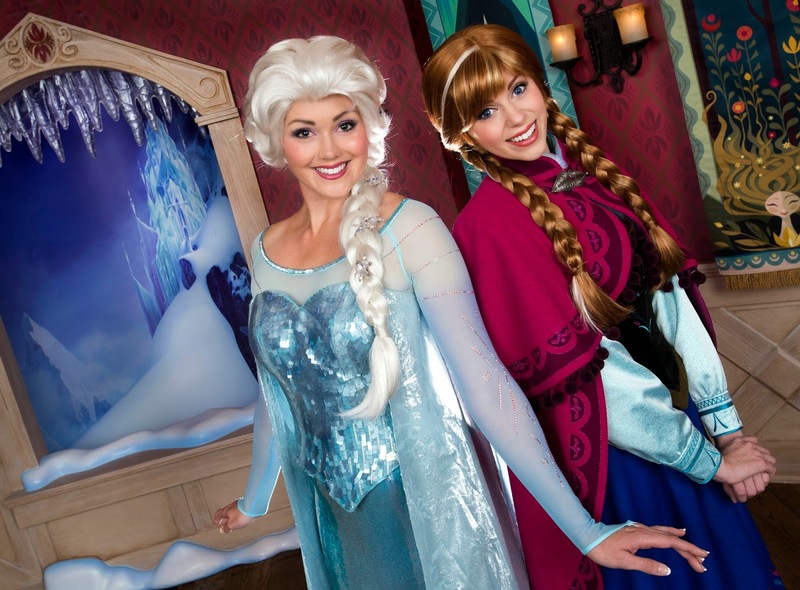 "Frozen Themed Live Show" will open January 7. The team of Mr. Smythe and Mr. Jones will put their unique spin on the “Frozen” story as they adapt it for the Royal Theatre. As expected, they present the tale in their own inimitable way, with a fun-filled, fast-paced retelling of the story featuring their own wacky performances in key roles, along with Anna, Elsa and the Faire Maidens. Additionally on Jan. 7, 2015, “Mickey’s Soundsational Parade” resumes daily performances with Anna, Elsa and Olaf once again making a “pre-parade” appearance on their own special float. 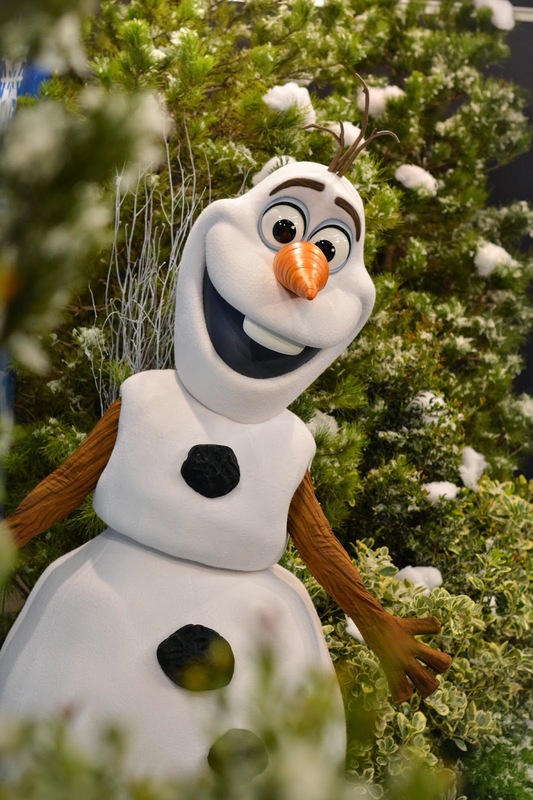 “Olaf’s Frozen Ice Rink” and the Downtown Disney Winter Village are in operation now through February 22, 2015. The Downtown Disney Winter Village chalets offer a variety of food, clothing and gift items. The 50-by-90-foot “Olaf’s Frozen Ice Rink” features colorful graphics outlining the “Frozen” story and characters, with Olaf whimsically commanding the rink that bears his name. Sixty-minute skate sessions are scheduled between 3 p.m. and 10 p.m. Sundays through Thursday, and 3 p.m. to 11 p.m. Fridays and Saturdays. This is a very exciting time for all you Frozen fans out there, so be sure to enjoy these new experiences while they last! That's all for now from Theme Park Overload. Make sure to "Like" our Facebook page to have the latest Amusement Park news from TPO delivered right to your inbox! www.Facebook.com/ThemeParkOverload My name's Nicholous, and Thanks for Reading!